Kanye West’s daughter, North West has proved that she’s really the offspring to the award winning rapper. The 2 year old surprised everyone when she flared up at the paparazzi in Los Angeles for invading her privacy. North West was filmed on her way to ballet class this week, where she and her nanny were moped by the papz. 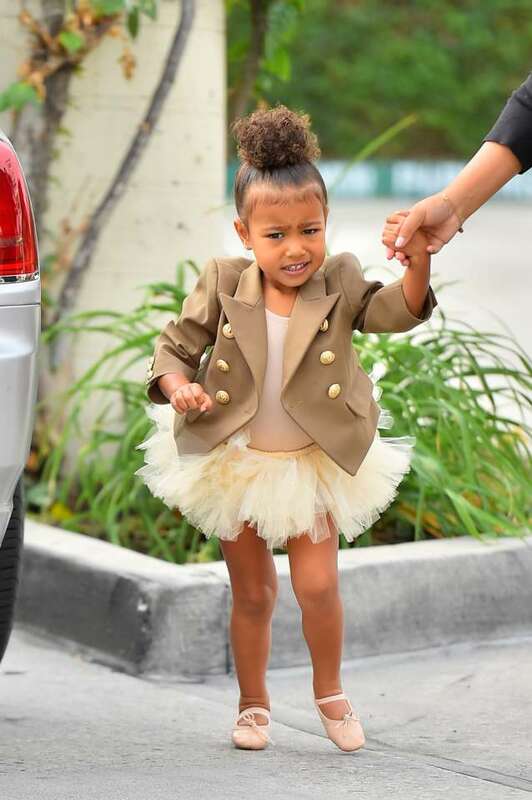 “I said no pictures,” Nori screamed at the pressmen while struggling to hurry for her dance class in the hands of her nanny. While her mother, Kim Kardashian is generally tolerant with the paparazzi, her dad, Kanye is always in the news for fighting with the press including smashing their cameras in some cases. He’s been sued multiple times for attacking the papz, whom he claim don’t respect him as a human being first and an artist. Previous articleJustin Bieber Drops Album Tracklist! Lol….Lion don’t give birth to goat!!! !